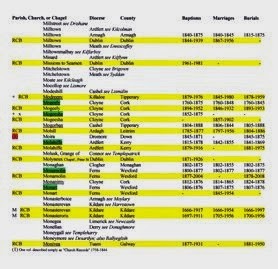 The Representative Church Body Library (RCBL) has updated its Table of Parochial Registers Throughout Ireland. 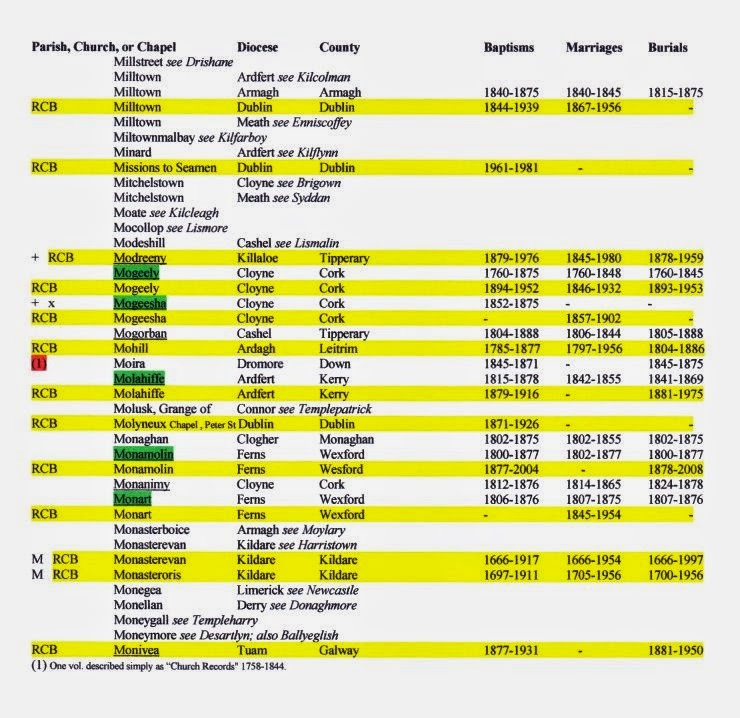 This downloadable pdf document lists all historical Church of Ireland parish registers (and copies of them) – whether the originals survive or not – from both the Republic and Northern Ireland. It also provides details of where the surviving registers can be accessed either on microfilm, by hard copy or via local custodian arrangements. This 98-page document is indispensable to researchers with Church of Ireland ancestors and was gifted to the public last July following collaboration between the RCBL and the National Archives of Ireland. The amended and up-to-date Table is accessible via the Library's Archive of the Month archive.